We make a lot of hash brown casseroles in our house. Sometimes I try to mix it up and add meat into the casserole. This is perfect for when we have left over sausage. You can do with with any meat you like. 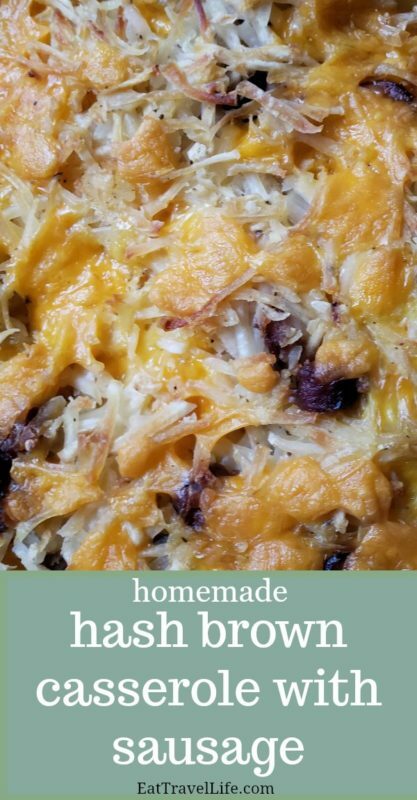 Sausage hash brown casserole is a great dish for breakfast, but also works great for a snack or dinner as well. If you prep ahead, and have the hash browns thawed, the dish will cook quicker. And have the sausage from a previous meal, makes this sausage casserole recipe super fast to make. 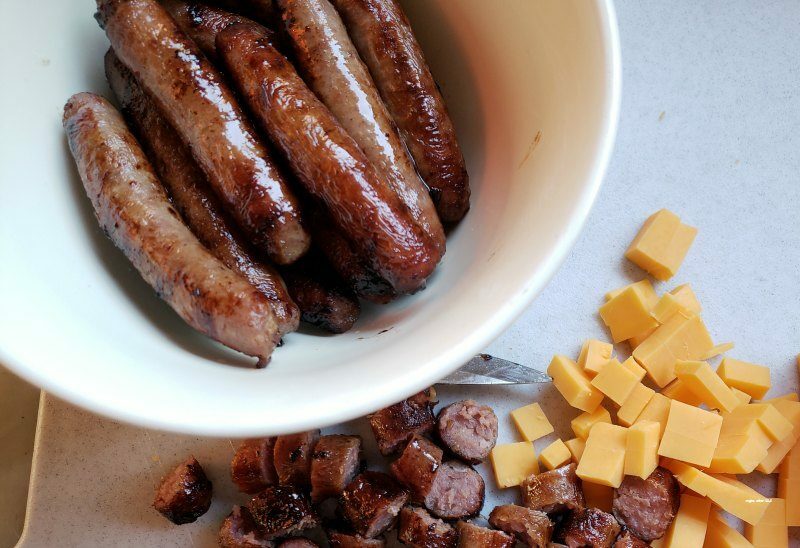 In a large bowl, add the hash browns, cheese and melted butter. 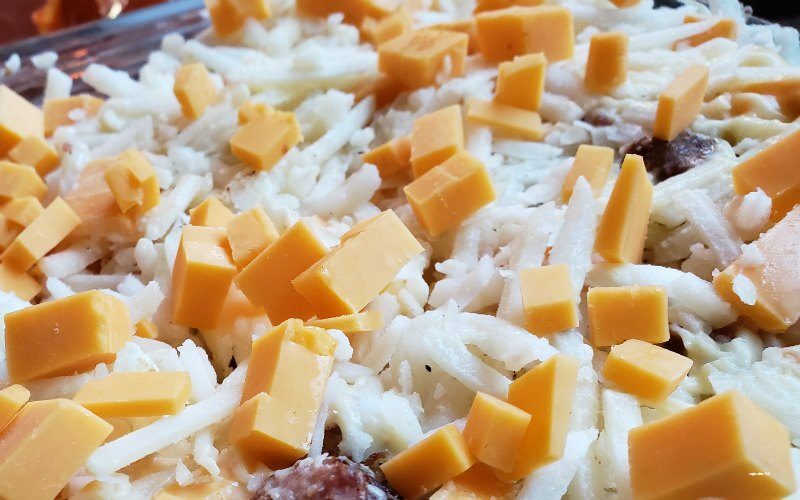 Keep about 1/2 cup of cheese back to put on top of the casserole. Add the can of cream of chicken soup, pepper and salt and mix again. Spread out the mixture into the pan and even it out. 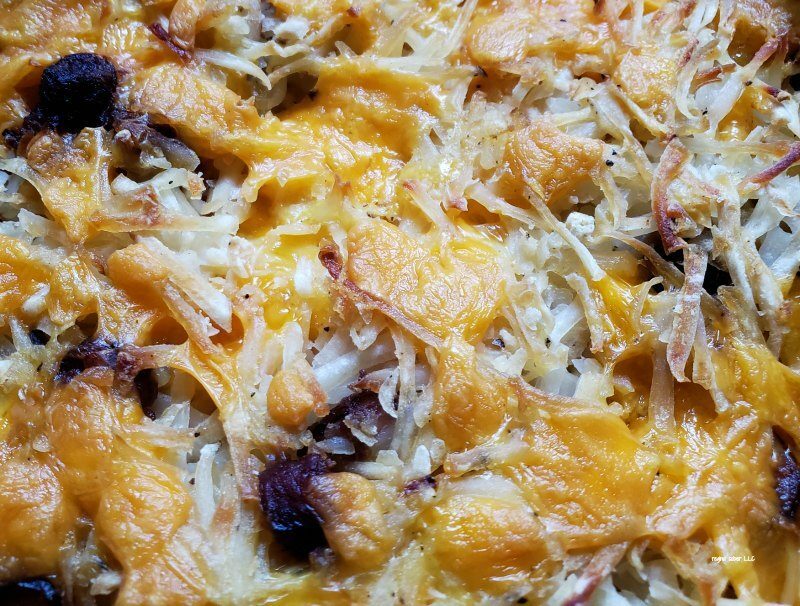 Place the hash brown casserole in the oven and bake for 30-45 minutes. Cook longer for a crunch. 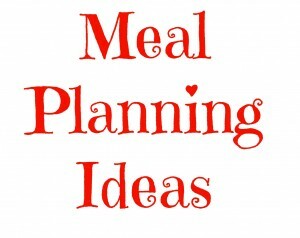 What is your favorite casserole dish?